Trigger Time Kennels is a family owned and operated business. Rusty, Ashlee, Hunter and Ryen thrive on training and producing some of the top hunting and competition dogs in the country. Rusty has been training dogs since 1993, when he got his first Labrador named Angel. Still in school Rusty could not afford a ton of professional training. He began reading training books, which made the job look easy. Through his love of dogs, he began to realize what his natural calling was. In 1998 Rusty got involved in tournament hunting, placing in the top 10 at one of the oldest and most prestigious events, the US Open Pheasant Championship. Right from the start, he felt at home in the tournament circuit. 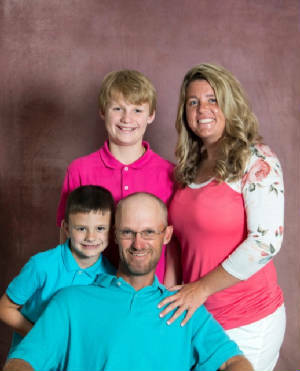 In 1999 he began training with some of the best field trial and gun dog trainers in the US. He would take bits and pieces of their training skills and advice to implement with his own dogs. In 2008 life brought Rusty and Hunter from Minnesota to Texas. This is where he opened what is now known as Trigger Time Kennels. In 2012 Rusty got Ashlees Labrador in training, over the next few years they formed a relationship and were inseparable. Ashlee has always had a love for animals. 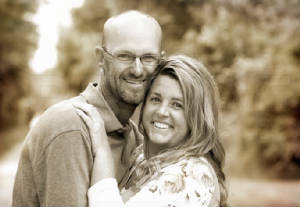 She worked at the local veterinarians office as a veterinarian technician. After working there for 6 years she started working for a local field trial trainer, where she was introduced to Rusty. Now Ashlee works right long side Rusty every day as well as whelping litters for their clients. Hunter and Ryen are very involved as well. They help when and wherever they can. They boys love helping with the training as well as socializing the dogs and puppies. 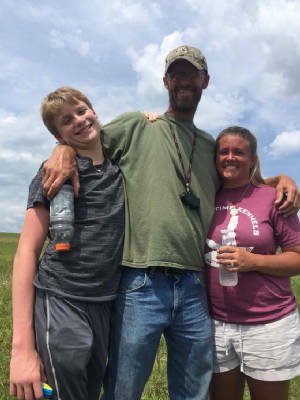 Its a rare sight to see Hunter without his training whistle around his neck, soaking in all the experiences so that one day he can be just like his dad. 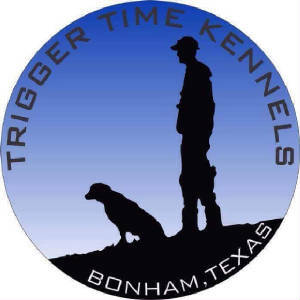 We welcome you to become part of the Trigger Time Kennels family!